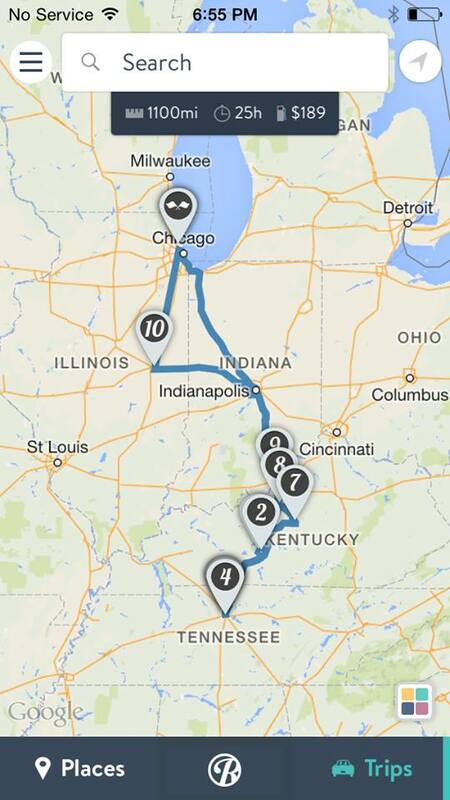 It’s been about two months since Eric and I embarked on our road trip through Kentucky and Tennessee. Below is the route we followed, some highlights of the 6 day trip, and a video summing up the ridiculousness that was “Just Two Bros On A Road Trip. Ziplining, Mammoth Cave Adventures, Mammoth Cave, Kentucky- Couldn’t have asked for a better first time ziplining. Our zip guides were absolutely hilarious and extremely accommodating, managing to fit us in between really bad storms. I highly recommend giving this place a visit! The Escape Game, Nashville, Tennessee- We booked the Escape Game last minute on our way to Nashville and we are so happy that we did. This is a totally out-of-the-box experience that challenges your mind under pressure. If you enjoy puzzles, riddles, etc. I recommend giving the game a try..we made it our with only one minute left! Third Man Records, Nashville, Tennessee- Jack White’s personal record store equipped with a novelty game room and other fun souvenirs. Santa’s Pub, Nashville, Tennessee- This place won best dive bar 2013 and that is exactly what it is- a double wide trailer decked out in Christmas decorations with karaoke every night of the week. Cash only, beer only, and a great time. The Pharmacy Burger, Nashville, Tennessee- We were recommended this place by a girl working at Third Man Records as “the best burger place in town.” The burgers were to die for and you can order old fashioned sodas..all at a very reasonable price. Makers Mark Distillery, Loretto, Kentucky- Even if you aren’t a bourbon drinker I would take the time to stop by this distillery. Our guide was extremely knowledgable and shared a lot of interesting facts, stories regarding Kentucky Bourbon. The grounds are absolutely gorgeous and there is a tasting at the end of the tour that was really fun. You can also hand dip your own bottle of Makers Mark which is pretty nifty.